Many in the airline industry are stating major airline alliances are a dying breed and if the past few weeks are any indication from Air Canada, maybe this is the case. Not that The Star Alliance or the other two major alliances will cease to exist, it does seem that airlines are finding value in partnering with airlines that make sense for connecting customers to places that were difficult prior to the partnership. The latest is this new tie up between rivals Air Canada and Cathay Pacific! Interesting enough is that we reached out to WestJet to see how it affects their relationship with Cathay Pacific and so far all is still good there. So as we speak both of Canada's major airlines have a relationship with Cathay Pacific! MONTREAL, Dec. 22, 2016 /CNW Telbec/ - Cathay Pacific and Air Canada today announced they have finalized a strategic cooperation agreement that will enhance travel services for Cathay Pacific customers when travelling within Canada and for Air Canada customers travelling via Hong Kong to Southeast Asian countries including the Philippines, Malaysia, Vietnam and Thailand. Air Canada will offer codeshare services to an additional eight cities in Southeast Asia on flights operated by Cathay Pacific and Cathay Dragon connecting with Air Canada's double daily service to Hong Kong from Toronto and Vancouver. Air Canada will place its code on Cathay Pacific and Cathay Dragon flights to Manila, Cebu, Kuala Lumpur, Ho Chi Minh City, Hanoi, Bangkok, Phuket and Chiang Mai. Cathay Pacific customers will be able to book travel on Air Canada flights connecting with Cathay Pacific's up to three daily flights to Vancouver and up to two daily services to Toronto from Hong Kong. Cathay Pacific will place its code on Air Canada flights to all major cities across Canada including Winnipeg, Victoria, Edmonton, Calgary, Kelowna, Regina, Saskatoon, Ottawa, Montreal, Quebec, Halifax and St. Johns. When travelling on these services, members of Air Canada's loyalty program, Aeroplan, and Cathay Pacific's travel and lifestyle rewards program, Asia Miles, will be eligible to earn and redeem miles on the above mentioned codeshare routes. Yesterday we received some great news from one of the better if not best frequent flyer programs out there. 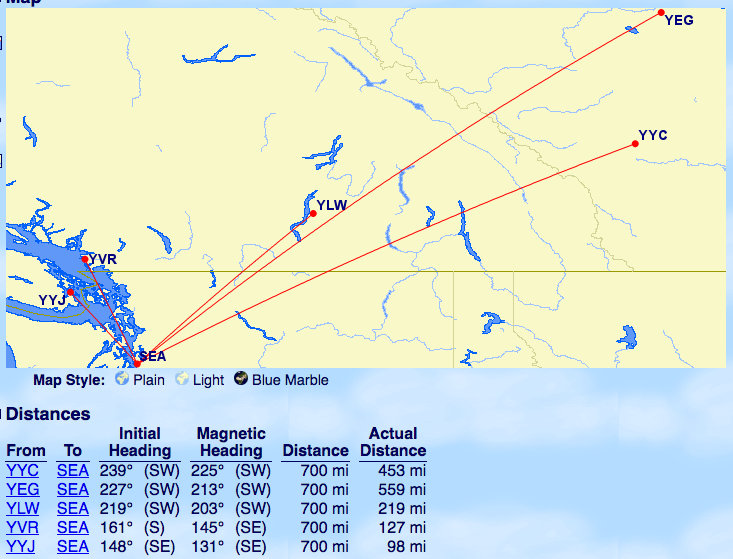 Alaska Airlines revealed details around a new distance based award chart for travel on Alaska Airlines within Canada and the U.S., they revealed the exchange rate between Virgin America Elevate and Mileage Plan, increased earning on premium class fares and the dissolution of their partnership with Delta. This is the best news out of all the news they revealed yesterday, primarily for those of us living in Alberta and British Columbia. Flights on Alaska Airlines between those provinces and Seattle just got significantly cheaper. From 12,500 miles one way to 5,000 miles one way!! 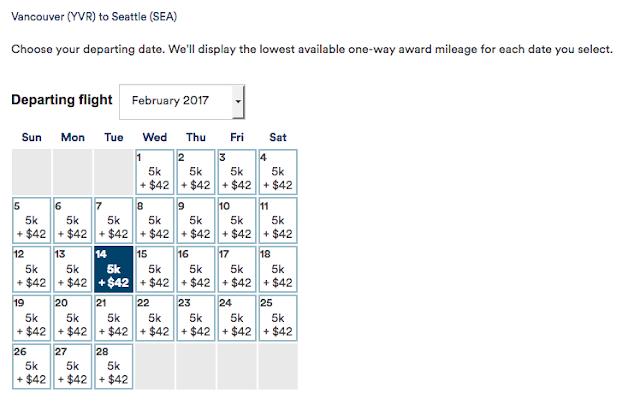 In a time where most programs are starting to charge more miles for award flights Alaska is charging less. For the longer haul flights for travel within the continental US and Canada will remain at 12,500 miles one way or 25,000 miles round trip. We were hard pressed however to find many flights available at the 5,000 mile range, the most luck we had was Vancouver or Victoria to Seattle where we did find quite a 5,000 mile options. From Calgary we did find quite a few 7,500 mile options while Kelowna and Edmonton we couldn't find anything under 10,000 miles one way. So the key here is that you can now extra some great value on this short haul flights as long as you can find availability. Or if you choose to drive to Seattle you can fly to San Francisco for only 5,000 miles! 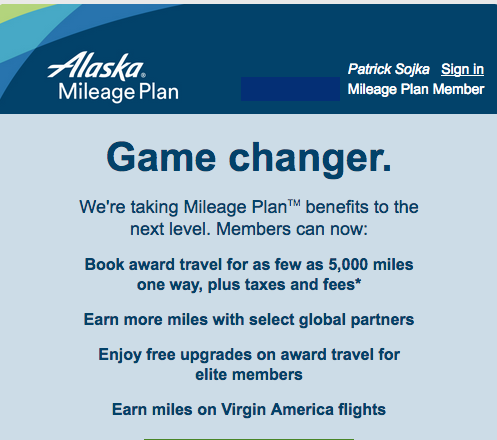 If you can find or take advantage of these 5,000 mile flight options this just added some huge value to the mbna Alaska Airlines World Elite® MasterCard® credit card as it comes with a 25,000 mile sign up bonus with your first purchase. 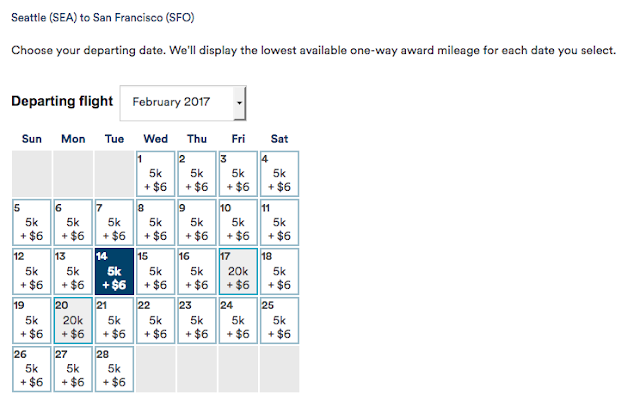 You can do the math from here, 25,000 miles sign up bonus means 5 one way flights at the 5,000 mile award level! From the press release yesterday this love-hate relationship is now over. 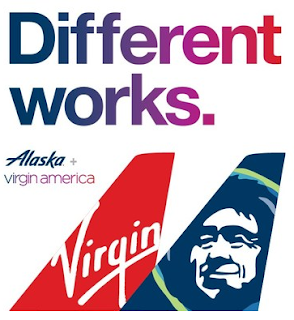 The two airlines have been partners for a long time but in recent years one could say Delta invaded Alaska's territory making Seattle somewhat of a hub by substantially increasing the number of routes they flew out of SEA to compete directly with Alaska Airlines. Effective May 1, 2017, Delta and Alaska will no longer have a codeshare agreement, and sales of flights under DL- and AS-coded flight numbers flown on Alaska and Delta aircraft respectively will cease. Additionally, customers of each airline will no longer be able to earn and redeem Delta miles or Mileage Plan miles on flights operated by the other carrier. The carriers will retain an interline agreement, allowing them to continue offering customers ticketing and baggage connectivity. Delta and Alaska today codeshare on only a small number of flights as Delta's growth in Seattle has reduced the need for codeshare flying. 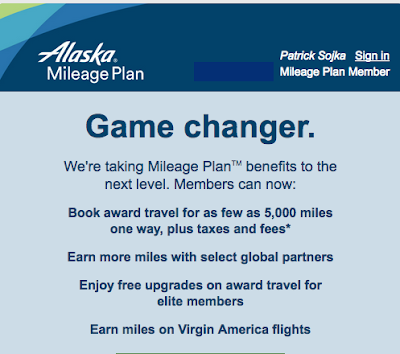 Alaska Airlines will now award you with a lot more miles if you fly their partner airlines in Business or First Class! They stay up to 80% more miles which is a huge increase. For example, two very popular airlines for Canadians are Cathay Pacific and British Airways. You can now earn up to 250% of the mileage flown if you fly British Airways business class, 400% if you fly first class and Cathay Pacific will see 250% for first class. These are some great changes for the program and truly an enhancement if you don't count the end of the Delta Airlines partnership but we saw that coming anyways. What are your thoughts on these changes to this already great program? Are they enough to have you switch from another program or move Mileage Plan up the ranks in your portfolio? Let us know in the comments below! Starwood Preferred Guest has launched their third enhanced airline partnership. 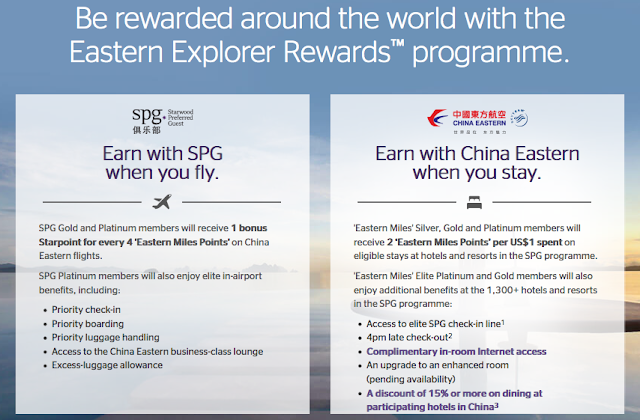 Similar to existing partnership with Delta Airlines and Emirates, now elite members of Starwood Preferred Guest and China Eastern Eastern Explorer programs will have reciprocal benefits between the two programs. You can find out more about the new partnership here. 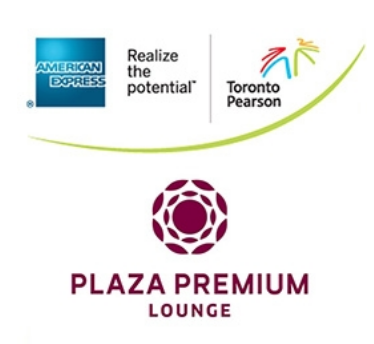 American Express Invites has a great offer for those travelling from Toronto Pearson until March 31st. For $20 you can buy a Priority Security Lane voucher and a Plaza Premium Business Class lounge voucher. Seeing that the lounge access alone is is US$32 if you walk up and buy it this is a great deal! 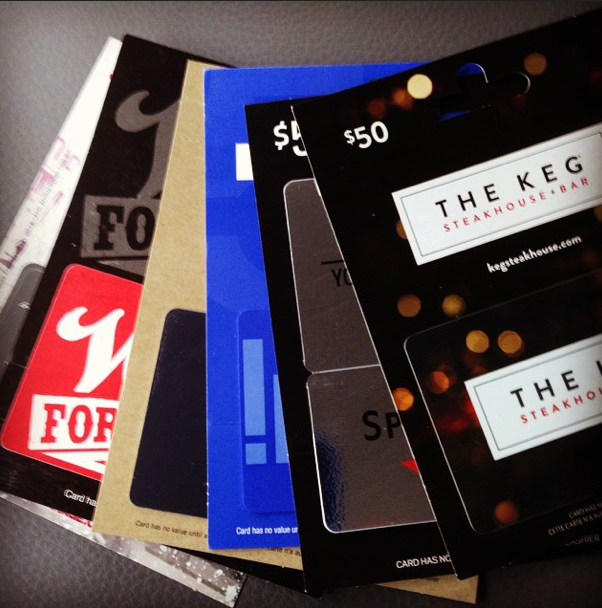 You have until Dec 22 to buy these vouchers and have until March 31st to use them. Find out more here. 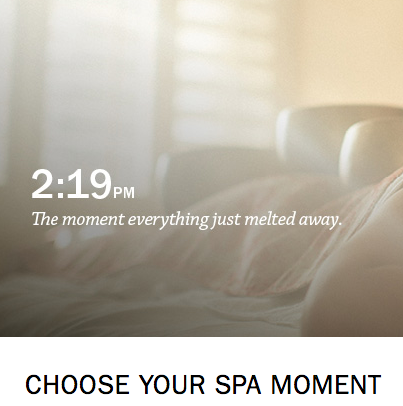 Book the Choose Your Spa Moment Package at participating Fairmont Hotels Spa destinations and receive a $100 Spa credit* on a minimum two-night stay. Find out more here. 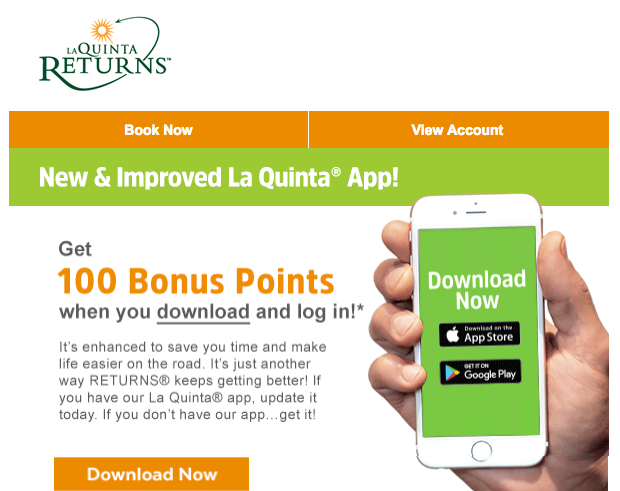 Taking a page from our global site FrequentFlyerBonuses.com we thought it best that this topic is covered on Rewards Canada as well! 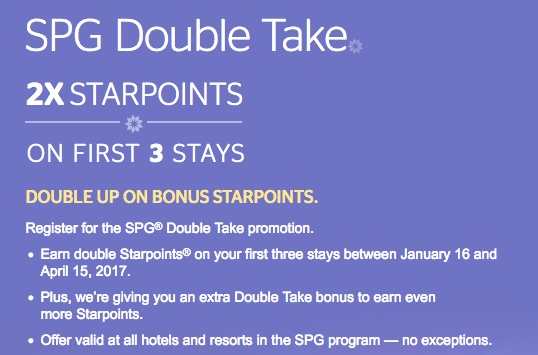 Now that most of the major hotel chains have released the details of their first quarter 2017 stay promotions it is the perfect time to cover them in one summary post here on the RC blog. As always all the latest updates and newest promotions will be ideally found on each individual program's page on our site, this chart gives you the coverage you should need for most of your stays at the start of 2017! 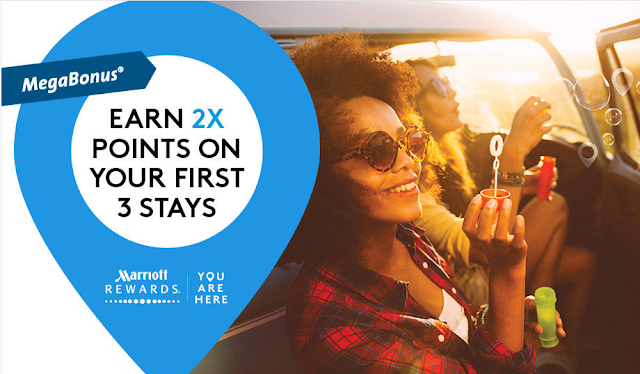 Remember most if not all the offers require you to register for them first so if you have the time go down the list and register for them all so you don't miss out on any potential bonuses for stays you have not planned yet. Today is the last day to register for this offer! Make sure you do so if you haven't done so yet but may have Marriott stays until the middle of January!